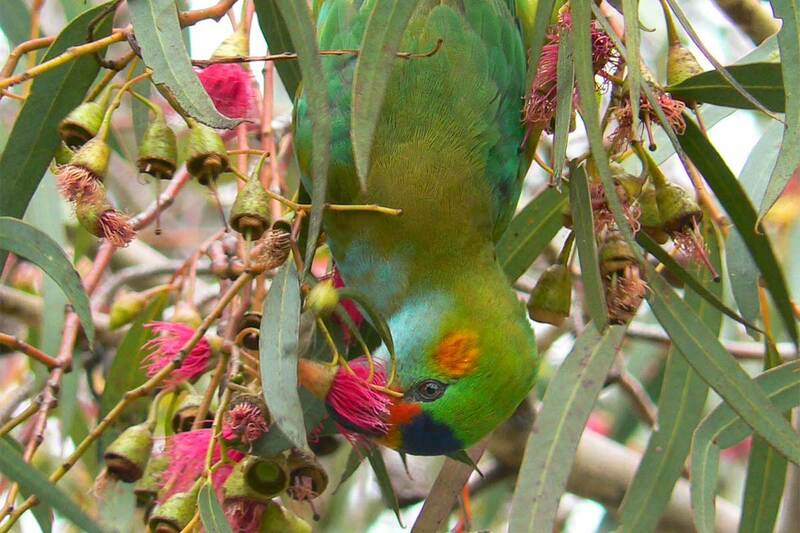 Want to see wild animals in Melbourne? 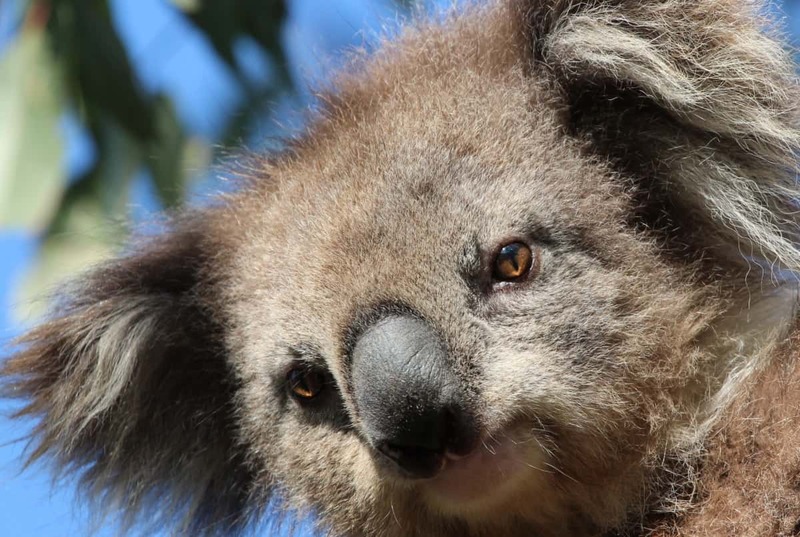 Join an experienced Wildlife Guide to find wild Koalas, Kangaroos, Echidnas and birds in their natural habitats on this 3 day Great Ocean Road wildlife tour. Take time to enjoy the scenery and country hospitality. Stay at 4.5 star boutique accommodation in idyllic locations. 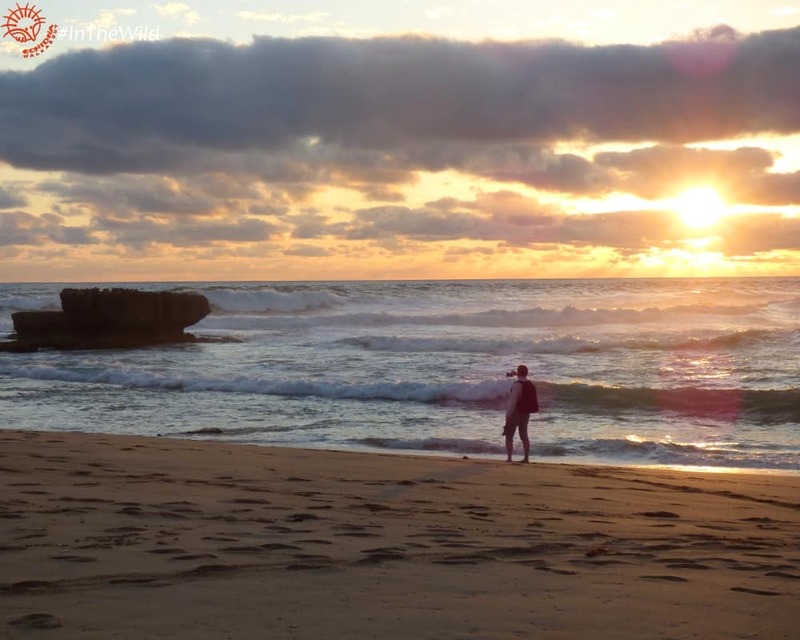 Walk along the beach and feel the waves of the mighty Southern Ocean. Photograph wallabies and wildflowers in species-rich heathlands – the Great Ocean Road wildlife tour is perfect for photographers. Let yourself be driven along a hidden river as it opens up into a wonderland of lakes and wetlands, home to egrets and eagles, lizards and lorikeets. View the plains from the top of an extinct volcano. With 20 years of experience in this region, Echidna Walkabout’s top wildlife guides can show you the highlights and the hidden secrets of this magnificent Great Ocean Road area. If you do not wish to share your room with another person: add $240. Prices shown are valid from 1 April 2019 to 31 March 2020. The child rate applies from 2 to 13 years of age inclusive. Infants to 2 years are not accepted on this tour. Child restraints or booster seats are legally required for children up to seven years of age. We can arrange child seats for about $20 AUD per seat. *The private Great Ocean Road wildlife tour will be customised just for you and your travelling party – please contact us with your group size & interests. Prices shown are valid from 1 April 2019 to 31 March 2020. Location: West of the city of Melbourne in south-east Australia. 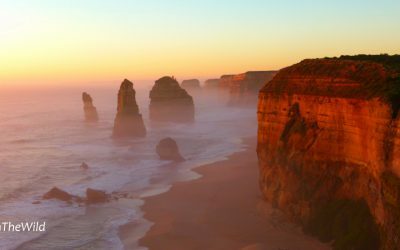 Visit Serendip and You Yangs national parks, the Great Ocean Road, Great Otway National Park, the Twelve 12 Apostles, the Shipwreck Coast, volcanoes and lakes of the Western Plains. Departs: Any day of the year except through Christmas or Boxing Days (December 25 or 26). All tours are on request and subject to availability. Returns: to Melbourne. Book a Private Tour here. This tour is ideal for seeing wild Eastern Grey Kangaroos, Koalas, Swamp Wallabies and many birds – waterbirds and birds of the forests. We often see Sulphur-crested Cockatoos, corellas, Galahs, Laughing Kookaburras, Superb Fairy-wrens, White-winged Choughs, Emus, Cape Barren and Magpie Geese; Singing, New Holland and White-plumed Honeyeaters, ibis, ducks, cormorants, Whistling and Black-shouldered Kites, Nankeen Kestrels, Australian Magpies, Magpie-larks, Red-rumped and King Parrots, Crimson and Eastern Rosellas, Bronzewing and Crested Pigeons, Red and Little Wattlebirds and Willie Wagtails. 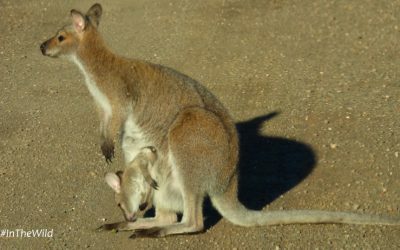 We sometimes see Echidnas, possums, fur-seals, Blue-tongue or Jacky Lizards, Rufous Bristlebirds, Wedge-tailed and Little Eagles, falcons, goshawks, Yellow-tailed Black-cockatoos and Gang Gang Cockatoos. We occasionally see a Southern Brown Bandicoot or a whale. We rarely see snakes or spiders, though we are as interested in them as in all wildlife, and will look out for them. Melbourne is worth a 3 to 7 day visit – there is so much to do! Good walking shoes or boots that completely cover the feet (sandals are not recommended on Day 1), outdoor clothing to suit variable weather conditions (please check weather forecast for accurate predictions), sun hat, rainproof coat, insect repellent, 15+ sunscreen, small torch (flashlight), daypack and 1 litre re-usable water bottle. Camera and binoculars are recommended. As space is limited please keep luggage to 1 duffel bag OR 1 backpack OR 1 small suitcase per person. Drinking Water: Tap water is completely safe and drinkable and available at the 2 B&Bs on this tour, and a large fresh storage is carried on board the vehicle each day. We recommend you bring a re-usable water bottle which we can refill during the day. If you don’t like to drink tap water we highly recommend you bring a filter to reduce plastic waste. Great Ocean Road wildlife tour includes: Full interpretation by an experienced Wildlife Guide, all transport, meals and accommodation as described below and entry fees. Accommodation: 2 nights at 4.5 star boutique properties included. Stay at friendly, comfortable boutique properties in the region, all with ensuite rooms. 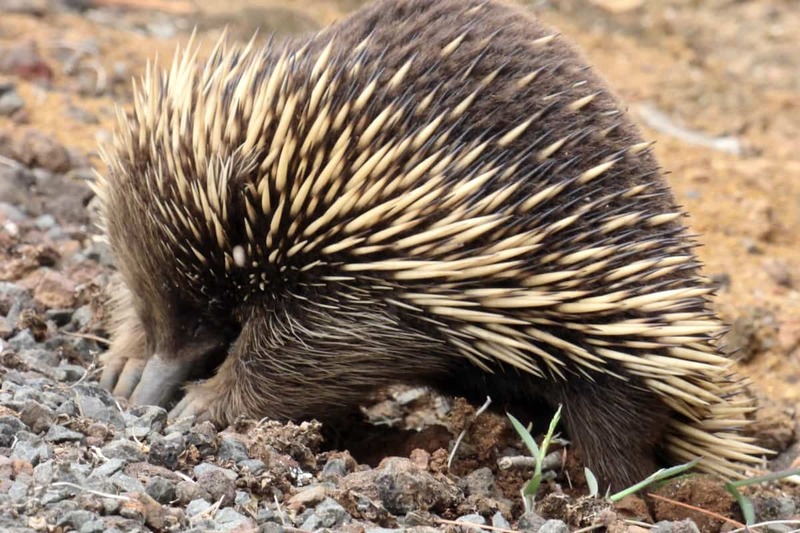 Expert Wildlife Guides: Echidna Walkabout’s Wildlife Guides are recognised as some of the best in Australia. Our Wildlife Guide training program ensures that all Guides have an in-depth knowledge of the wildlife and environments you will see. They are friendly, knowledgeable and passionate about wildlife – some of them have over 20 years experience working with wild animals, several are volunteer wildlife carers and rescuers and most have travelled extensively throughout Australia and the world. Many hours of wildlife research work precede the tour to ensure that you see and learn about native wildlife in its natural environment. Guides carry mobile phones which link them to other Wildlife Guides and to emergency services. Guest safety is of paramount importance to us. Meals on tour: On the Great Ocean Road tour we provide all meals from lunch on Day 1 to lunch on Day 3. Note: Vegetarian or other food preferences should be noted at the time of booking. Some catering is ordered in advance and transported on board. We can only cater for allergies and special food preferences that we are informed of in advance. Easy walking: Although this tour is vehicle based, most of the day is spent outside the vehicle on a number of easy, flat terrain, bushwalks so that you can get close to nature. Guests must be able to walk unassisted at least 1km on uneven dirt surfaces to ensure wildlife sightings. There may be up to 5 walks of this duration during each day. 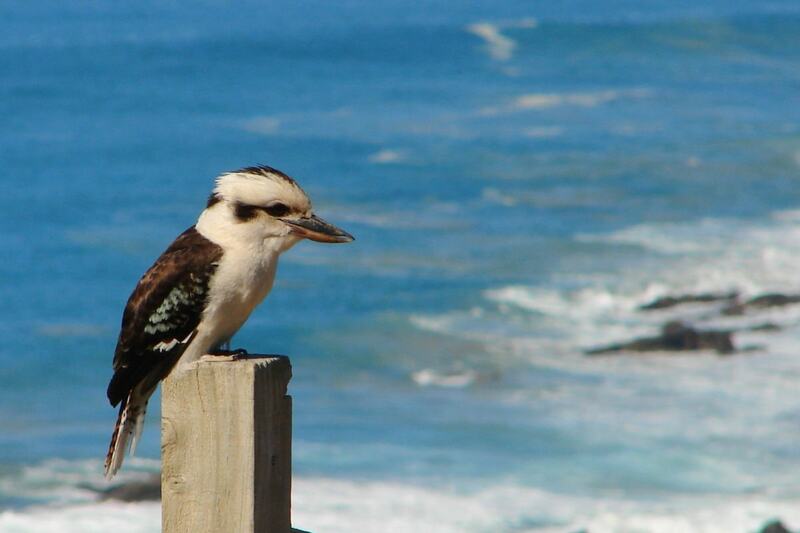 Mammals of the Great Ocean Road, part 2. Koalas and Kangaroos in the Wild! Stroll through a national park looking for wild koalas, cockatoos and kookaburras. Your Wildlife Guide and Koala Researcher will explain the behaviour and individuality of each of the koalas you meet. 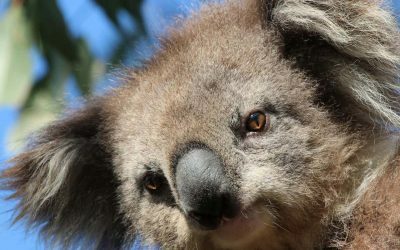 Help create habitat for a wild koala by joining our “Make a Home for Clancy” conservation project. 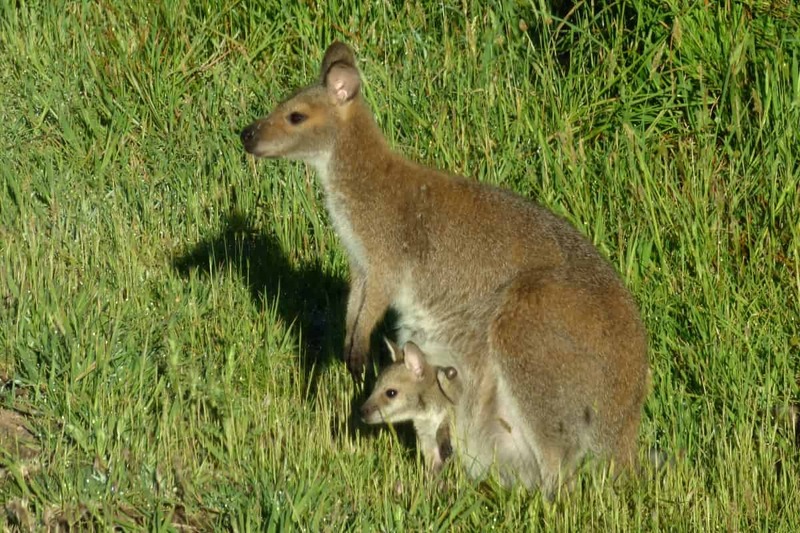 Walk quietly up to a wild mob of Kangaroos on the plains and in open bushland. They are thrilling animals to watch. 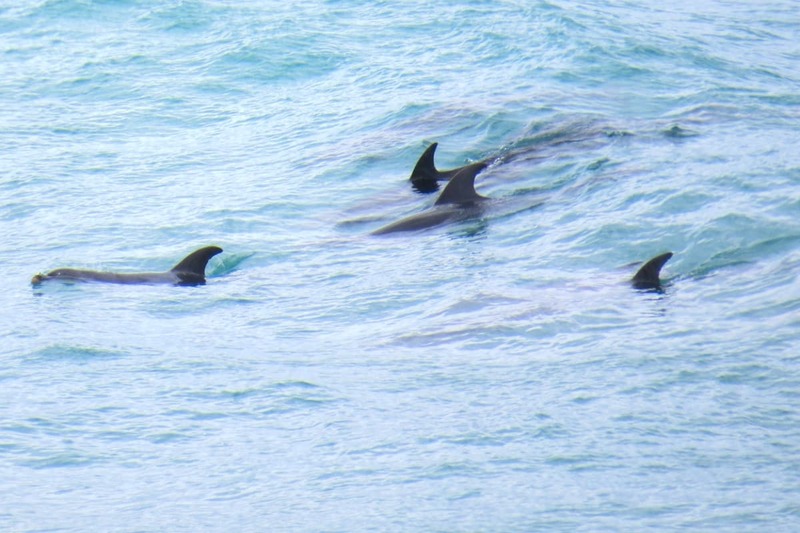 Their natural instinct is to flee humans, but with care we often get close enough to observe their complex social life. 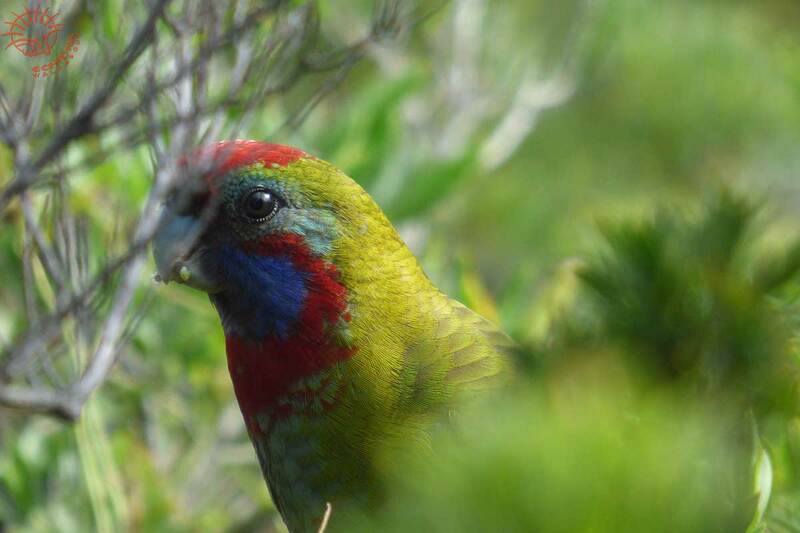 We may also find parrots, fairy-wrens, emus, honeyeaters, wallabies and reptiles on this first day of your Great Ocean Road wildlife tour. Your Wildlife Guide will help you understand and enjoy them. A substantial picnic lunch is included. Note: Little River B&B does not have twin share rooms – all rooms have one King or Queen-size double bed. Standard price listed is based on two people sharing one room/bed this night. If you must have one bed per person, a reduced single supplement price will be offered for this night only . Volcanoes and Lakes in a savannah. Created by intense volcanic activity over the past 2 million years, the 7000 volcanoes of the Western Plains are now extinct but the resultant savannah is pasture to a rich wool growing area – a wonderful example of Australia’s great range lands. We stop en route to drive to the top of an extinct volcano with spectacular views across the plains. From the summit we see some of the hundreds of volcanic lakes scattered across the plains. This is a great place to view raptors – birds of prey – including Wedge-tailed Eagles, Nankeen Kestrels and Brown Falcons. NOTE: this itinerary is an indication only. Every attempt will be made to follow our planned route however to maximise wildlife viewing opportunities, amendments may be made due to National Park Service requirements and weather conditions. They will be clearly outlined to you by your Wildlife Guide. The guides were delightful and very skilled at spotting wildlife along the way. The accommodations were unique and sweet and the sights we saw – spectacular. Don’t be nervous about possible ‘inclement’ weather. The rain and wind made it much more powerful. Great Ocean Road: Places we would never have found on our own. Sighting koalas, emus, kangaroos, wallabies, and birds in their natural habitats was a terrific kickoff. 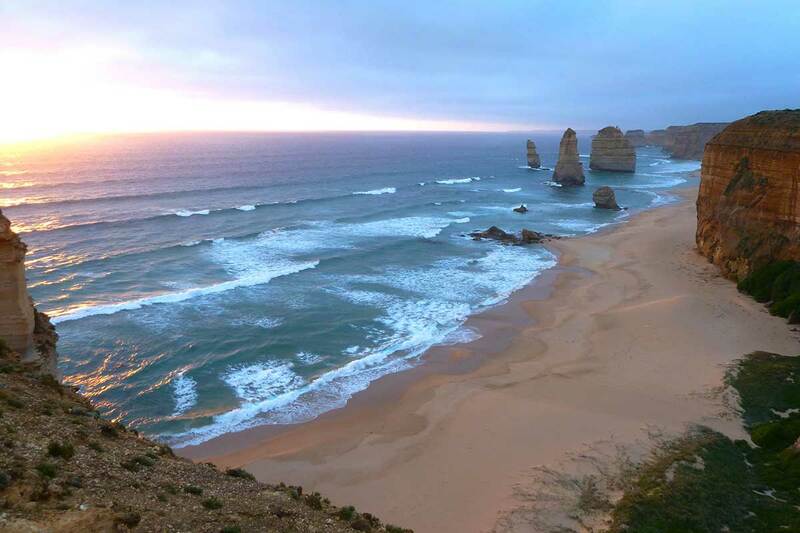 The Great Ocean road was absolutely stunning – Emma was an incredibly knowledgeable, accommodating, thoughtful, thoroughly engaging guide. Took us places we would never have found on our own. Can’t recommend this highly enough. Great Ocean Road: all time best experience. This three day tour is an all time best experience. Brett, our guide, was beyond exceptional. His enthusiasm was contagious and his expertise just overwhelmingly exceptional. Would do it again…and again…and again! One of the best eco trips I’ve done. Guide Brett drove, narrated, identified birds on wing, spotted koalas, wallabies & kangaroos. The scenery was awesome but the wildlife sightings were fantastic…one koala will stay with me forever. The 3 day trip was well beyond my expectations; I am so glad I did it.